Essential oils seem to be all the rage these days! Is it because of those pesky hipsters or millennials? The short answer is no, as essential oils have been put into practice since the dawn of humanity. With the age of the internet and people being fed up with the rising pharmaceutical costs and side effects, sufferers are looking for the all-natural alternative space which essential oils capably fill. 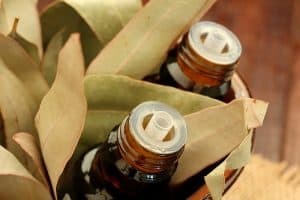 The term “essential oil” is derived from “quintessential oil.” This stems from the idea that matter is composed of four elements – fire, air, earth, and water. The fifth element, or quintessence, was then considered to be spirit or life force. 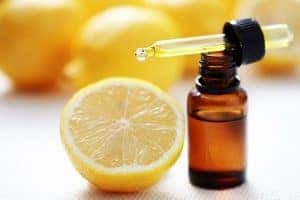 An essential oil can also be defined as a product made by distillation with either water or steam or by mechanical processing of citrus rinds or by dry distillation of natural materials. Following the distillation, the essential oil is physically separated from the water phase. The physical methods used are distillation through steam and/or water or cold pressing, an exclusive method for citrus peel oils. Essential oils are natural products that are extracted from a single plant species. Not all plants produce essential oils, and in the plants that do, the essential oil may be found in the roots, stems, leaves, flowers, or fruits. There really is little difference between “aromatherapy” and “essential oils,” other than aromatherapy being a method of consumption and essential oils being the product that is consumed. Essentially, these terms mean the same thing. We often think of “aromatherapy” being a way to freshen your room, but it really is a quite effective way to consume essential oils. Some essentials do not smell that great but are still used in a diffuser for the aromatic effect. 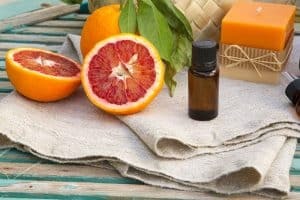 Although people often think that inhaling essential oils is the only way to get any therapeutic benefits, there are actually quite a few ways to experience relief through essential oils – topical applications, tinctures, and ingestion through the addition to water and herbal teas, to just name a few. Essential oils are highly concentrated plant extracts that we acquire through a few different extraction methods. The portion of the plant we get the essential oil from can be different contingent on the oil but is usually the most aromatic part. Rose oil, for instance, comes from the petals of the rose, while citrus oils come from the rind. Even though essential oils are all-natural, it might be easy to expect that they’re mild and mellow. For many essential oils, this isn’t the case at all. In fact, many oils are extremely potent and should be used with great care. Studies suggest they are up to 75 times more powerful than dried herbs! With certain essential oils, a couple drops go a long way, and apart from certain oils, most essential oils should always be appropriately diluted before applying them directly to the skin. Because of their potency, essential oils should be ingested properly. Should you have questions, please consult a healthcare professional. Essential oils are often used in place of artificial pharmaceuticals. Essential oils have been relied upon for a millennium in numerous cultures for medicinal and health purposes. Because of their antidepressant, stimulating, detoxifying, antibacterial, antiviral and calming properties, essential oils are resurfacing as a natural and effective remedy for a number of health concerns. With the rising cost in modern healthcare, it makes sense that we would look for alternatives to conventional medication. What better way than to look back through history? With the addition of essential oils to our bathroom medicine cabinet, we are rediscovering ways to naturally benefit our lives and our health. Essential oils offer a multitude of uses – from aromatherapy, natural medicine, personal beauty care, to even household cleaning products. We use essential oils because of their potency and effectiveness. By concentrating the oils of these plants, you are literally separating the most powerful healing compounds of a plant into a single oil. 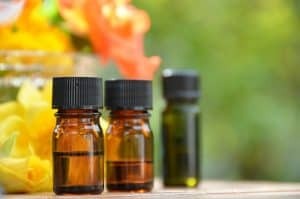 If you’re tired of spending money on costly pharmaceuticals and are ready to harness the power of the world’s most proven therapeutic compounds, then it is time to learn more about essential oils. They are readily used for a variety of issues – including stress, anxiety, pain, and more. But, as the prevalence of use continues to progress, we are seeing yet another valuable use – as a reliable alternative for acid reflux, indigestion, GERD, heartburn, and other digestive issues. Almost everyone has experienced acid reflux at one time or another with many of us experiencing it often or, unfortunately for some of us, chronically. One of the symptoms of acid reflux is heartburn – which is when stomach acid travels back up the esophagus and causes burning pain in the chest area. Quite often, acid reflux and heartburn are accompanied by additional unpleasant symptoms, such as bloating, difficulty swallowing, and indigestion. Should you experience acid reflux at night, we can add insomnia to the list, too. While there are multiple causes to acid reflux, fear not, there are also multiple remedies that can provide relief. GERD, on the other hand, is a chronic form of acid reflux. GERD stands for gastroesophageal reflux disease and is a term designated to those that have continued issues of acid reflux and its accompanying symptoms. One of the first things you reach for when suffering from acid reflux is chalky tablets or liquids. While these can be effective, you may be skipping on a tried and true method that has been relied upon for centuries – essential oils. Essential oils can be a natural alternative to provide much-need relief for your acid reflux and ensuing symptoms. For those of us who are sufferers of acid reflux and heartburn, we know that the joyous occasion that dinner should be becomes downright scary. Even if we don’t get heartburn, we are always concerned that we will. With the employment of the right essential oils for you, you may be able to control particular symptoms or, better yet, alleviate chronic issues altogether! One of the most effective methods is to consume essential oils in conjunction with a warm beverage, such as your favorite herbal tea or even warm water. The warm water itself can help soothe the muscles in your stomach lining and, with the addition of the right essential oils, provide relief for your acid reflux, indigestion, and heartburn. Finding out the best oil for you can take some experimenting. Everyone’s body chemistry is a bit different and you’ll want to use the essential oil that reacts best with you and counteracts your particular symptoms. The following essential oils have been found to be beneficial in treating gastrointestinal problems brought on by acid reflux, heartburn, indigestion, and GERD. Pay close attention to how each is to be taken and don’t be afraid try them all to find the remedy that is the best fit for you. There are many ways to use essential oils. Depending on the oil, they could be inhaled, ingested, or applied topically. For most acid reflux remedies, it is best to ingest by adding a small amount to warm water or a soothing herbal tea. However, for chest aches, certain topical applications can be quite beneficial. Lavender oil is an effective essential oil that can be ingested, inhaled, or even applied topically. It can help with acid reflux and any accompanying symptom. As a natural sedative, it can also help encourage a restful night’s sleep. Place 3-4 drops in a steam diffuser or apply directly into a warm bath. Add a few drops to a spray bottle and dilute with water. Lightly mist your bedding and pillows to encourage a good night’s rest. Add a few drops of essential lavender oil to your favorite carrier oil – we love coconut oil – and rub on your chest and stomach for heartburn relief. To combat acid reflux, apply a drop of therapeutic-grade lavender old to hot water or your favorite herbal tea. For best results, ingest directly after eating. Lemon oil possesses antibacterial, anti-inflammatory, and antioxidant properties. This essential oil can abolish unwelcome bacteria and help your body generate mucus which acts as a defense against acid reflux and aid in calming and averting stomach ulcers. Add 3-5 drops to a diffuser and enjoy the stimulating and elevating aroma. Add a drop or two to a glass of water and consume throughout the day. Add a drop of lemon oil to a cup of warm water and sip 30 minutes before each meal, to reduce bloating. For fast relief, place 1-2 drops directly on your tongue. 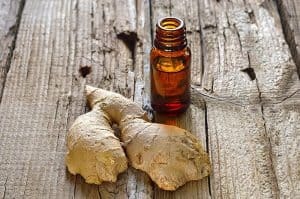 Ginger is another essential oil that can help soothe digestive issues. It has the ability to deter the production of acid and hasten the growth of harmful bacteria. It is often used as a natural remedy for disorders such as gas, motion sickness, nausea, and more. Ginger essential oil can also help with the prevention of stomach ulcers. Add a few drops of essential lavender oil to your favorite carrier oil – we love almond oil – and rub on your chest and stomach for relief with bloating and cramps. Stir 2-4 drops of oil into hot water or your favorite tea and drink 20-30 minutes before meals. Consistent use will assist your body to discourage heartburn and its associated symptoms. 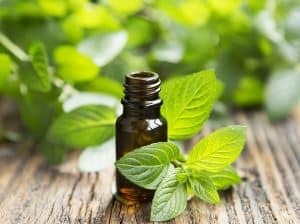 Organic peppermint oil possesses anti-inflammatory, antiseptic, and anti-spasmodic properties. It can be used to help with heartburn, nausea, bloating, stomach pain, and more. First things first: Peppermint oil is strong. Use caution and start out with a little and add more to see exactly how your body responds. For quick relief, apply the diluted peppermint oil, along with your favorite carrier oil (we love jojoba oil) to your stomach. Add one drop of peppermint oil, along with ½ teaspoon of organic apple cider vinegar and one teaspoon of honey to a mug of warm water. When applied as a topical solution, its strong, yet cooling and tingling outcome can oblige as a natural muscle relaxer, turning it into a very effective tool to stop muscle cramping and a sore stomach from extra gas in your system. Add four drops and mix with one teaspoon of carrier oil – any oil will do but grapeseed oil is a favorite. Apply directly to the chest, stomach, and affected areas for fast relief of aches and pains attributed to acid reflux. Add 2-4 drops to a diffuser and enjoy its citrus aroma as it helps to dispel pain. Add 2-4 drops to cold, warm, or hot water and enjoy throughout the day. Like lemon oil, it will help promote digestion and create a hospitable environment for good gut health. Eucalyptus essential oil that has shown to be valuable in dealing of acid reflux and its symptoms. Like most essential oils, this powerful oil can be ingested or used topically. 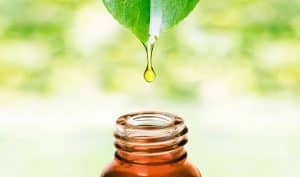 Mix 2 drops of Eucalyptus essential oil, 3 drops of peppermint essential oil, and one teaspoon of carrier oil together. For this method, try coconut oil, olive oil, or primrose oil. Apply the mixture over the chest and lower neck area and massage deep into the skin. Add 3-5 drops of oil to a diffuser. Add 4-6 drops of oil to a bath. Add 1-2 drops of oil to warm water or herbal tea and consume 30 minutes before dinner. It is recommended that you consult with your healthcare provider before treating GERD and other digestive problems with essential oils. Only use high-quality, therapeutic grade oils. Aromatherapy Sciences is proud to offer all-natural solutions that are geared towards the alleviation, reduction, and prevention of acid reflux, plus indigestion, GERD, heartburn, and so much more. We take advantage of the powerful remedies that nature has provided us in the form of essential oils.